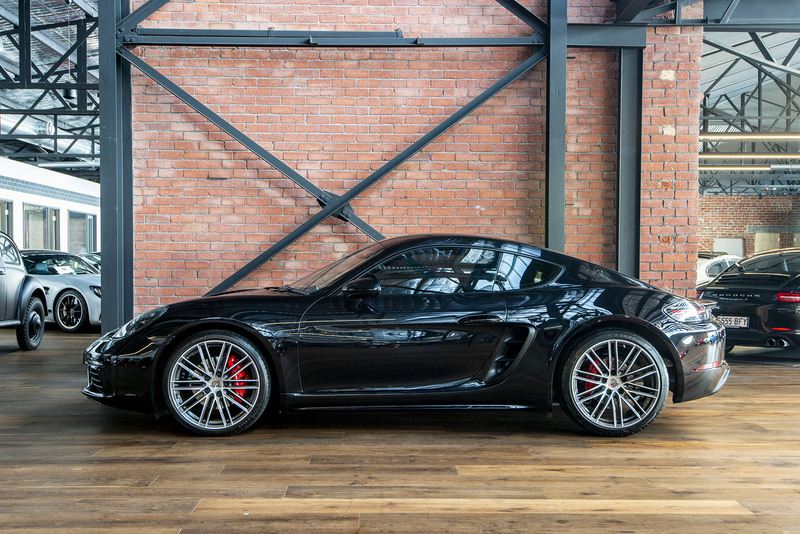 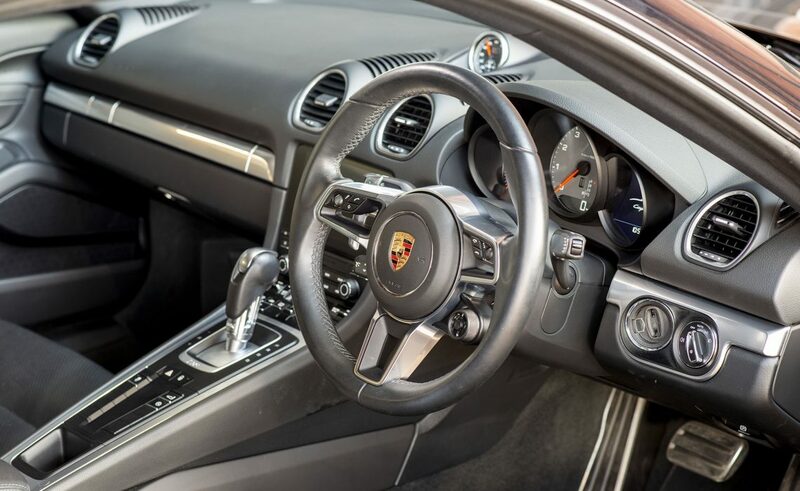 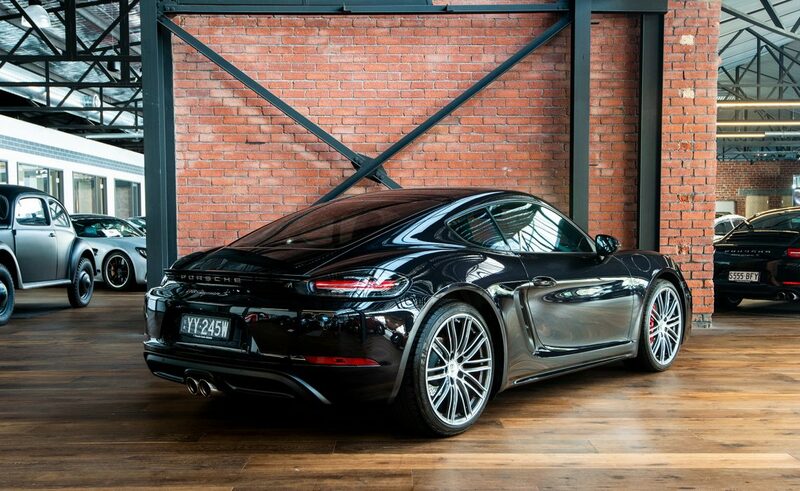 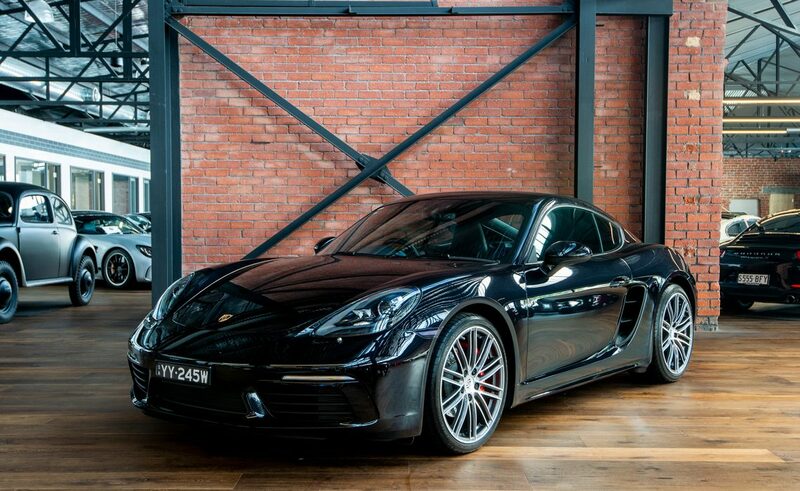 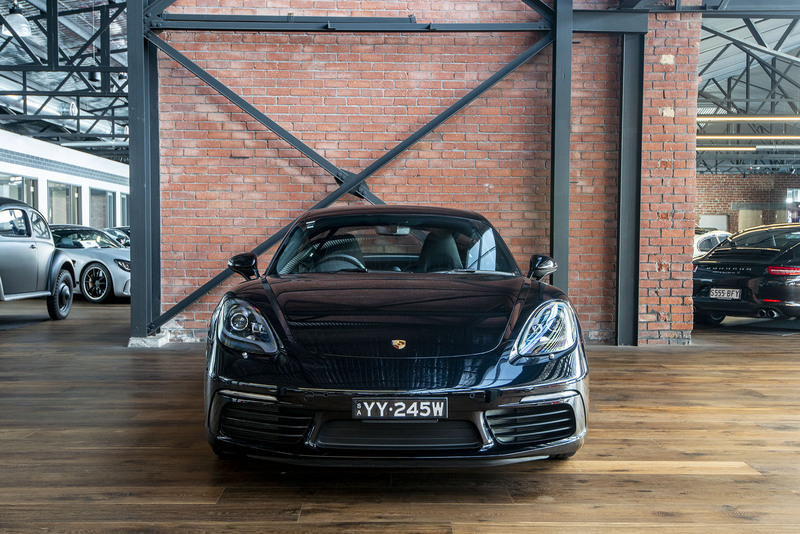 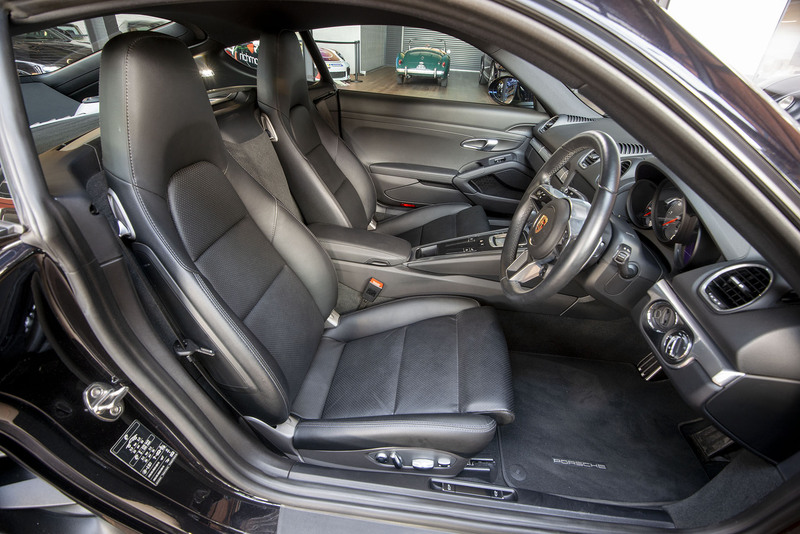 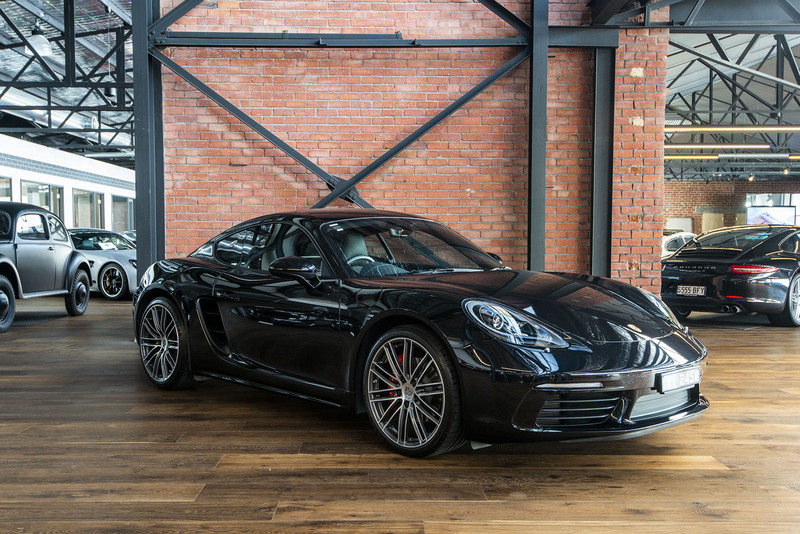 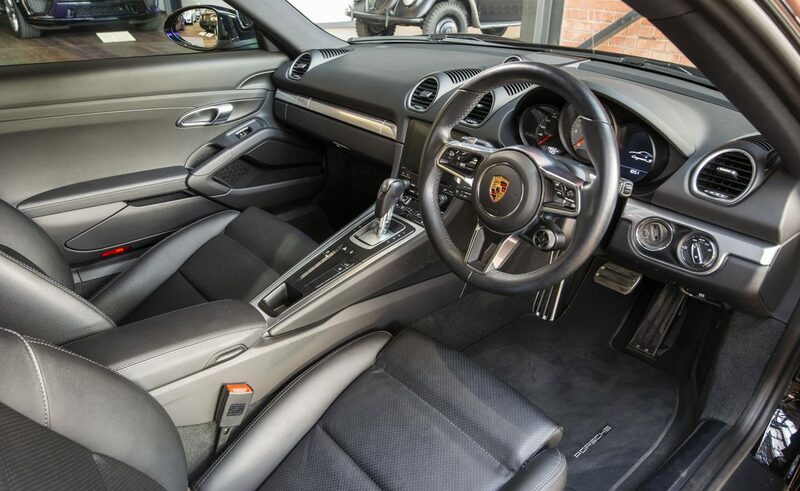 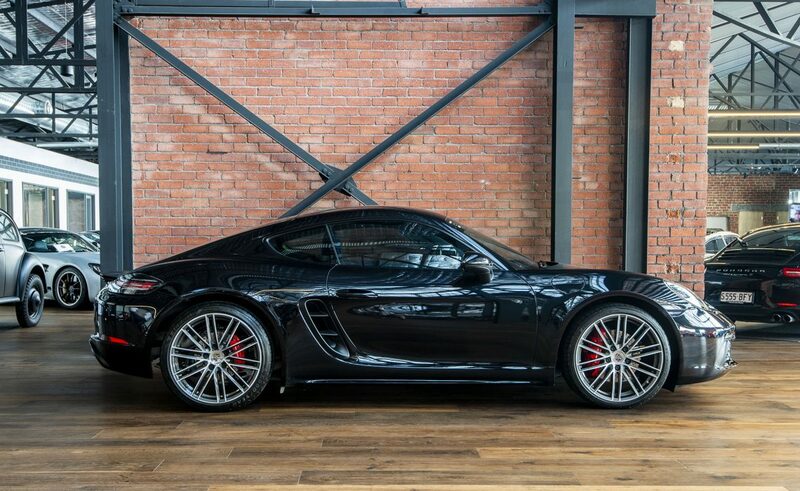 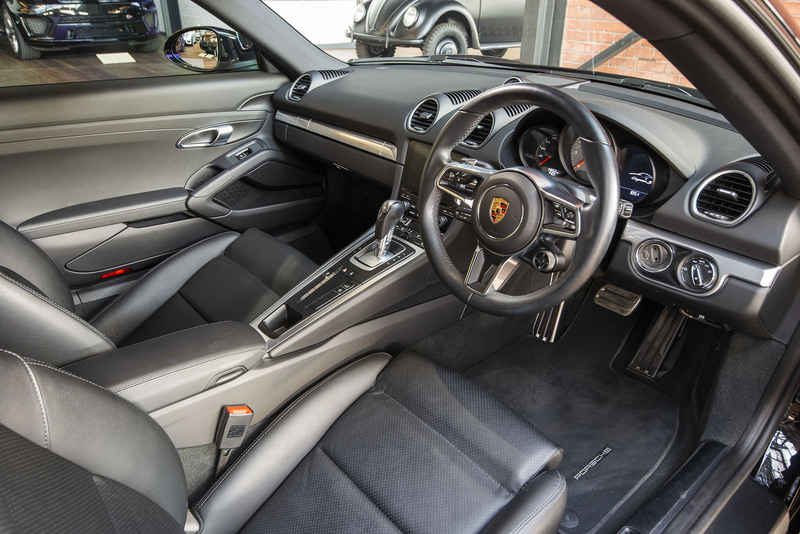 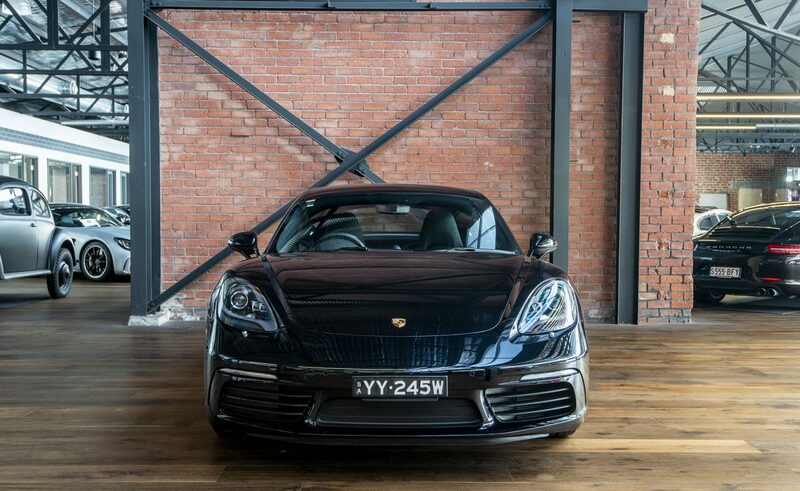 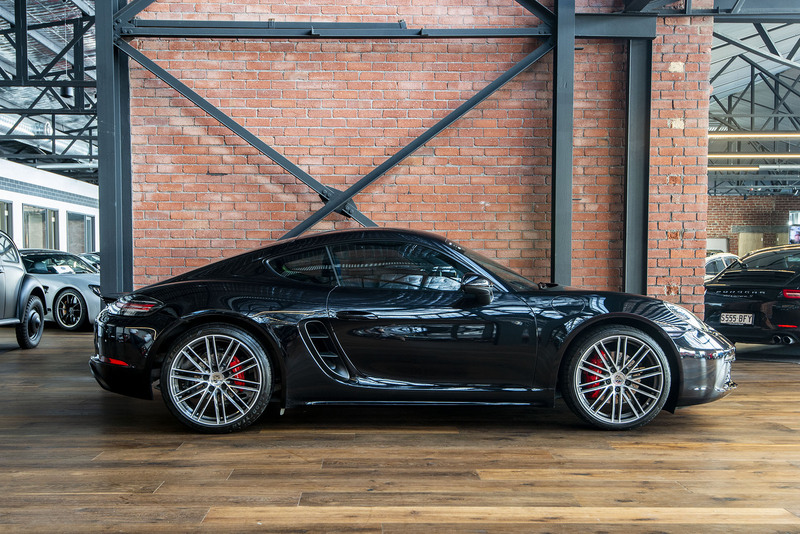 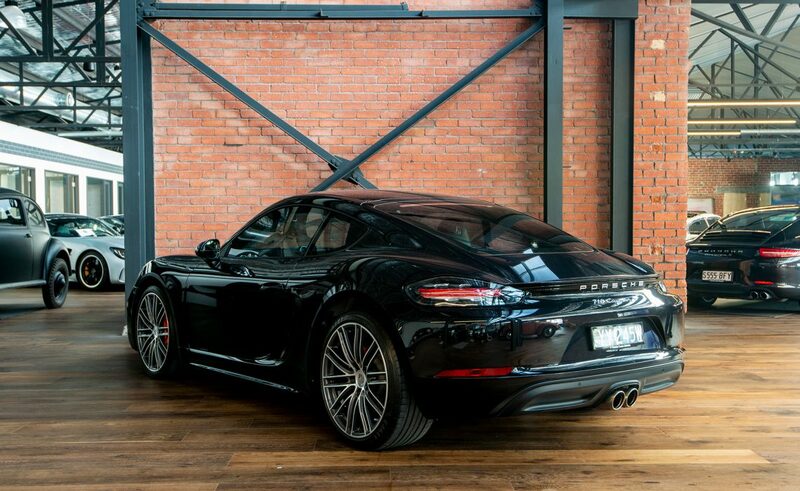 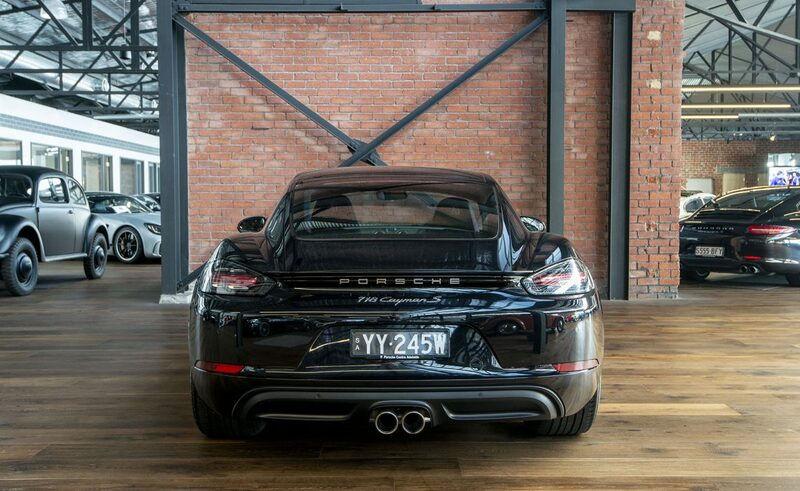 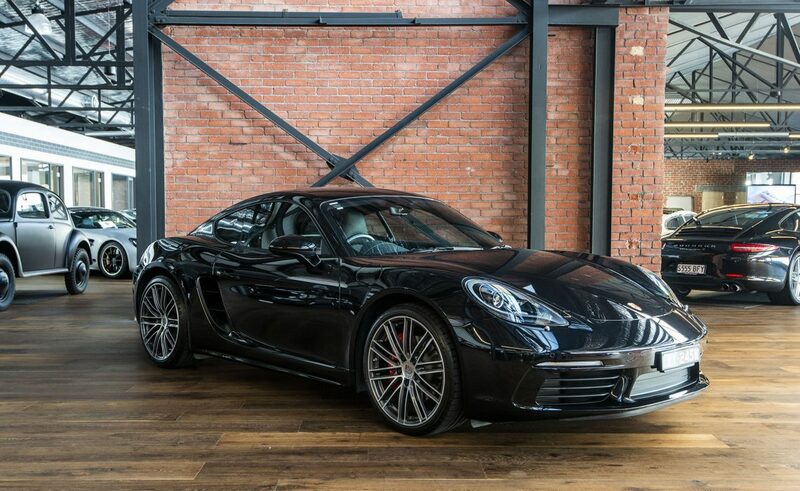 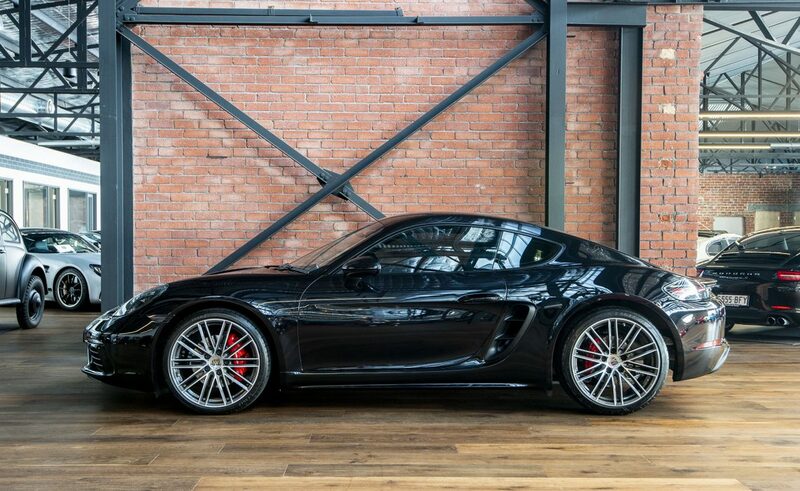 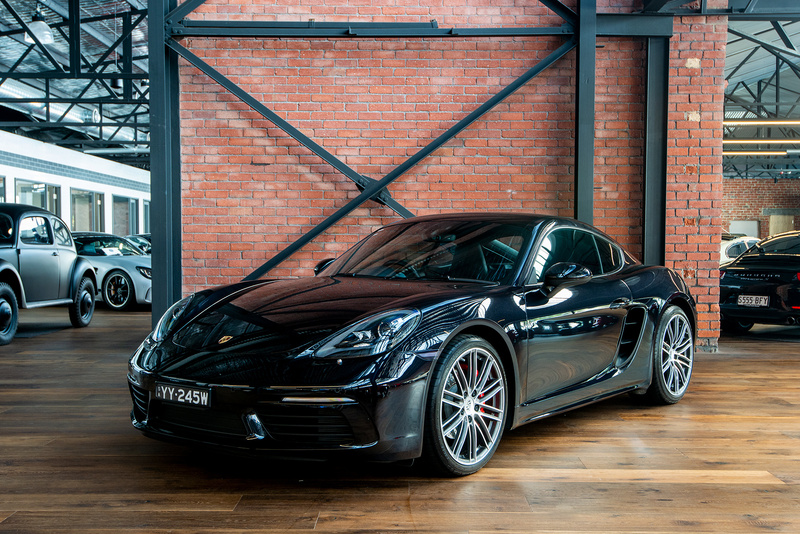 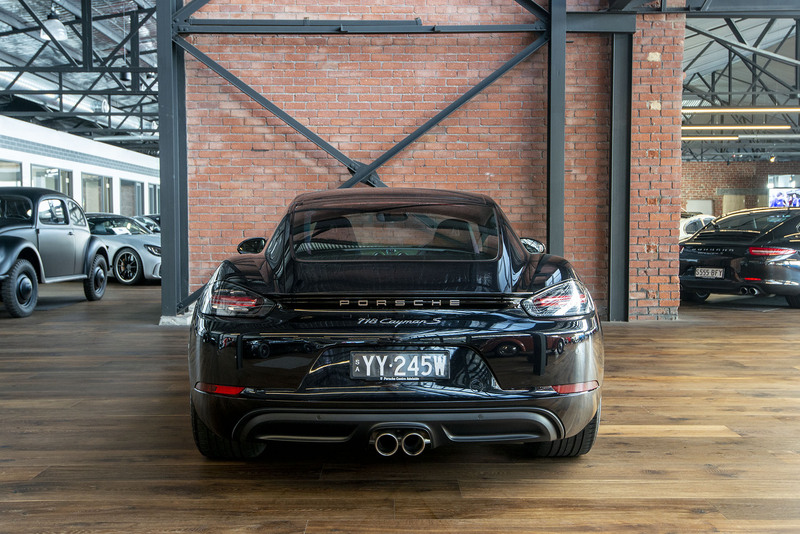 Now on offer is this as-new 718 Cayman S finished in metallic black with black leather seats, PDK 7-speed double clutch automatic transmission, 20" 911 Turbo wheels, power steering plus, Connect Package 3 and Sport Chrono package. 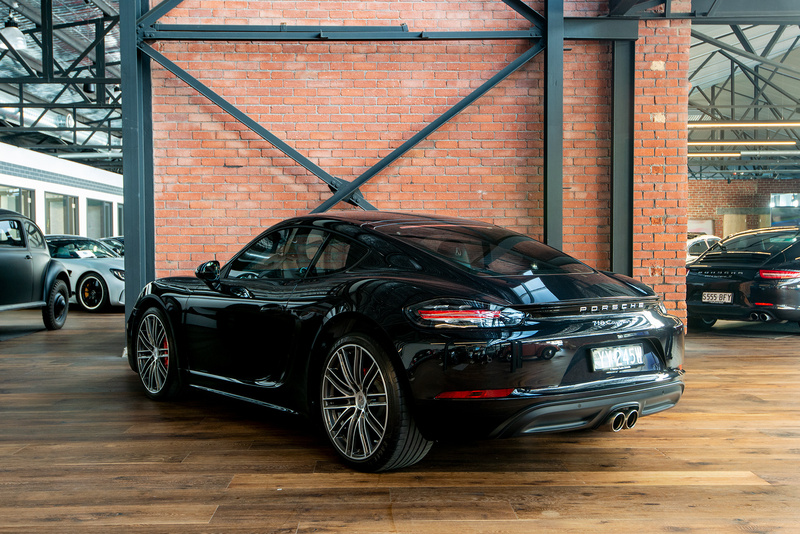 This eye-catching example was sold new and serviced here in Adelaide. 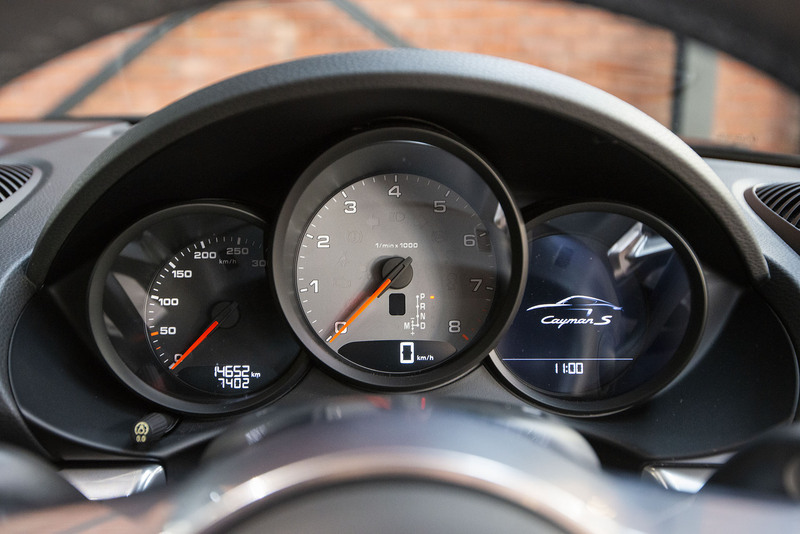 The 718 features a horizontally opposed four cylinder turbocharged engine developing 257 kW (350 bhp) and 420 nM of torque from just 1900 rpm. 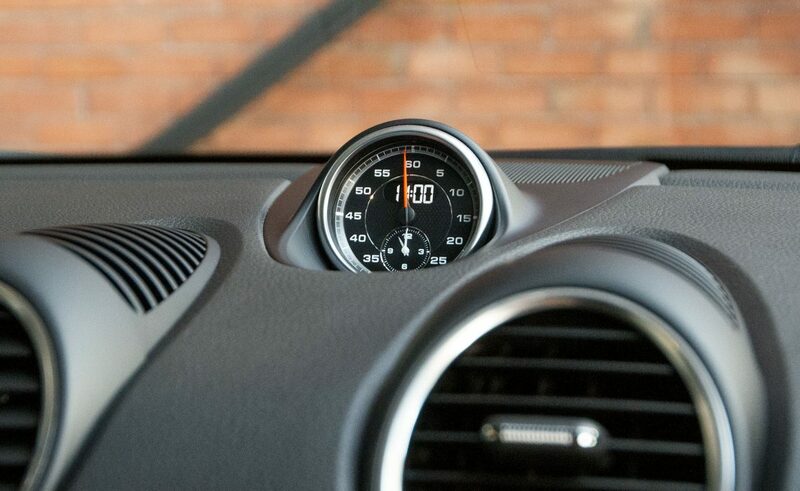 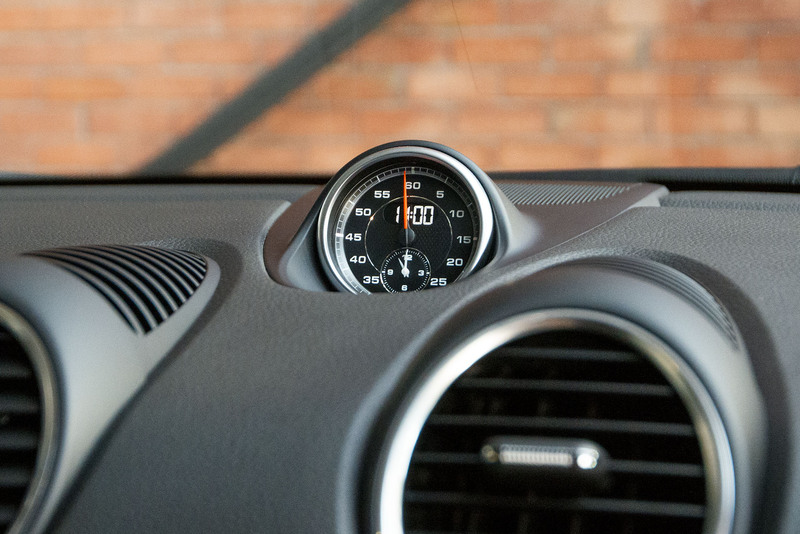 Zero to 100 km/h time is a mere 4.4 seconds. 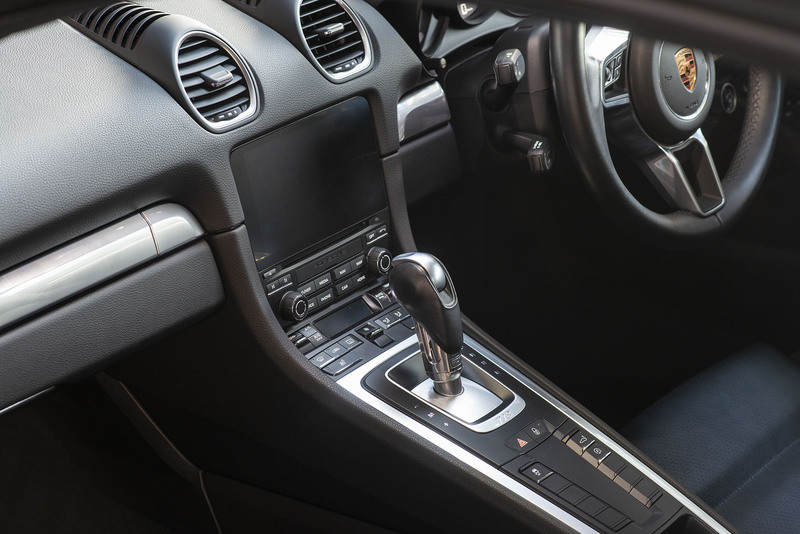 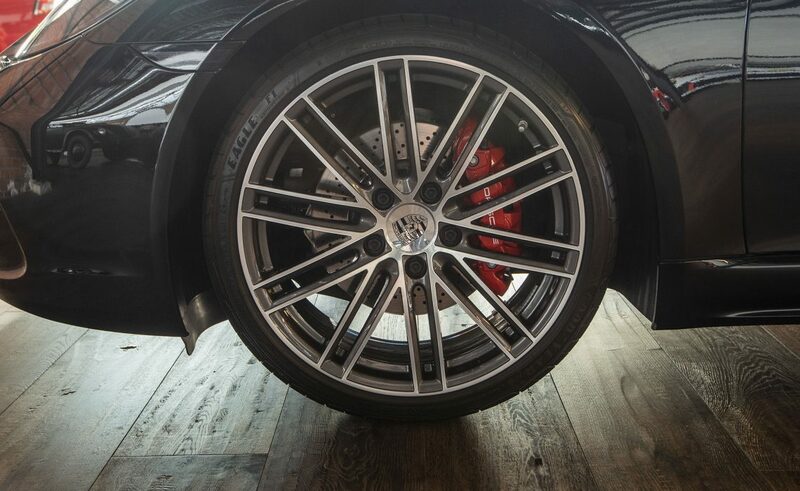 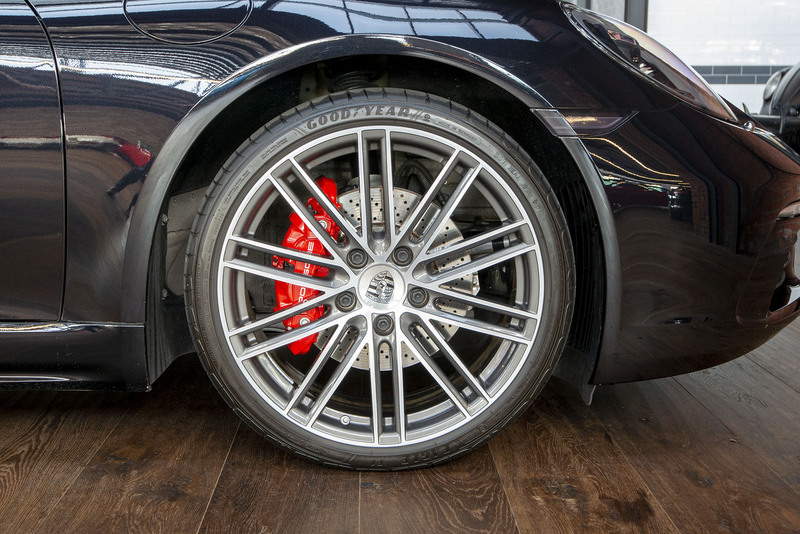 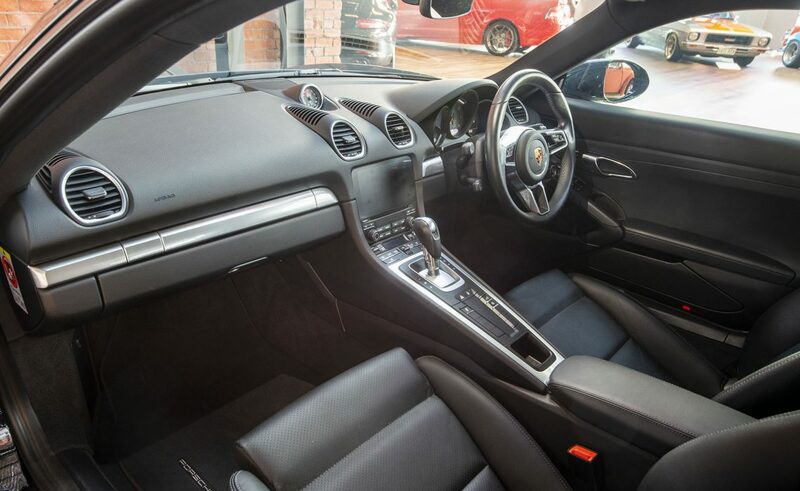 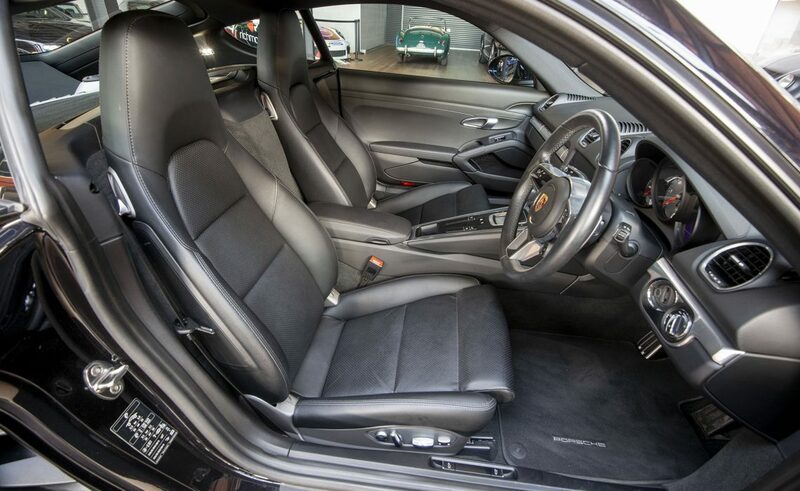 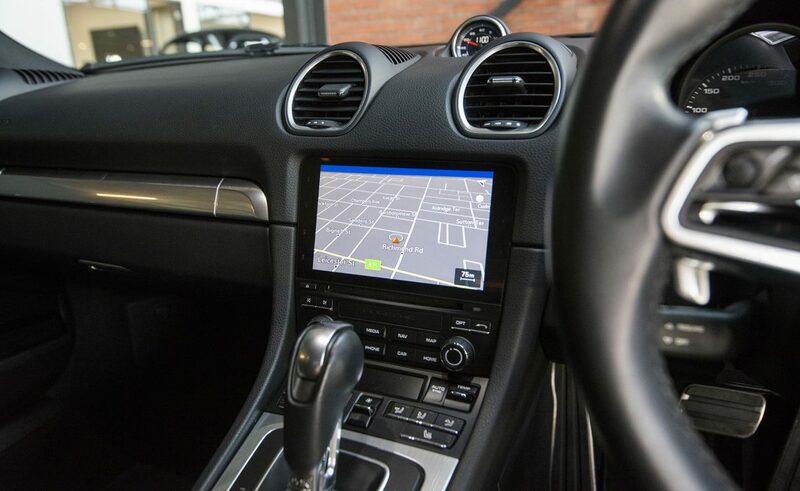 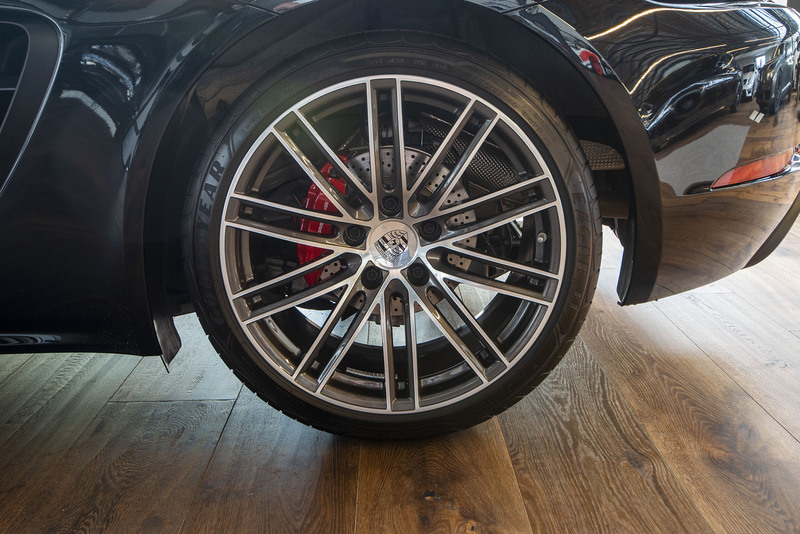 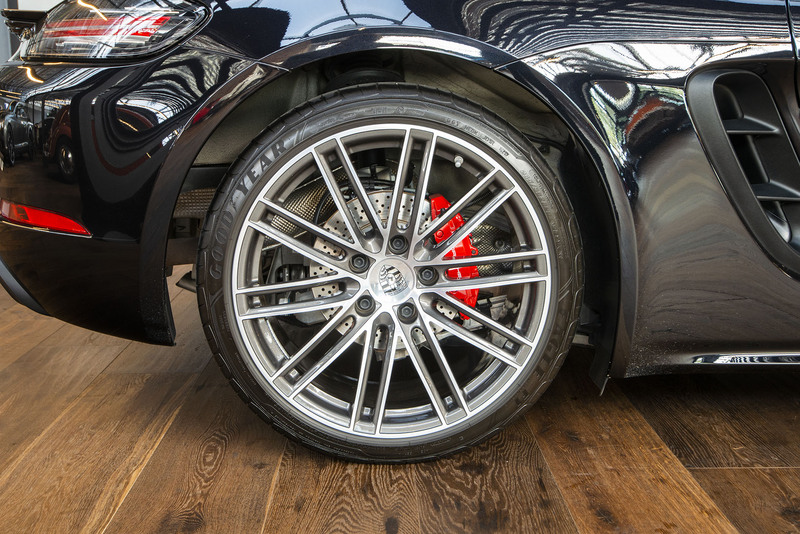 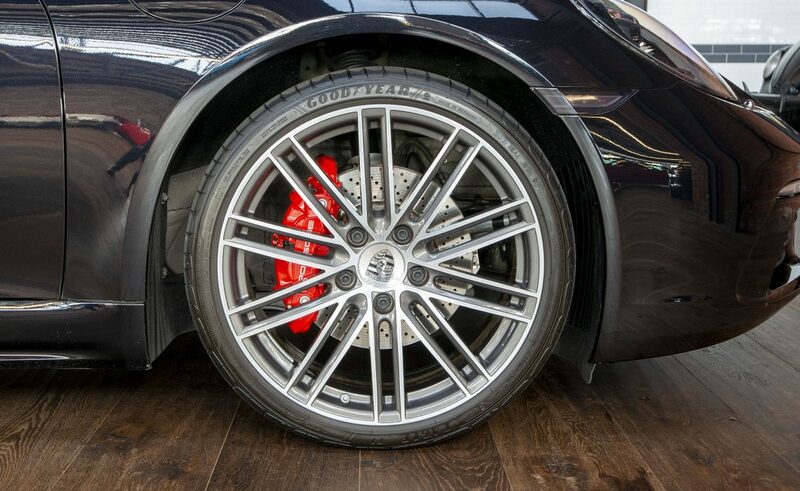 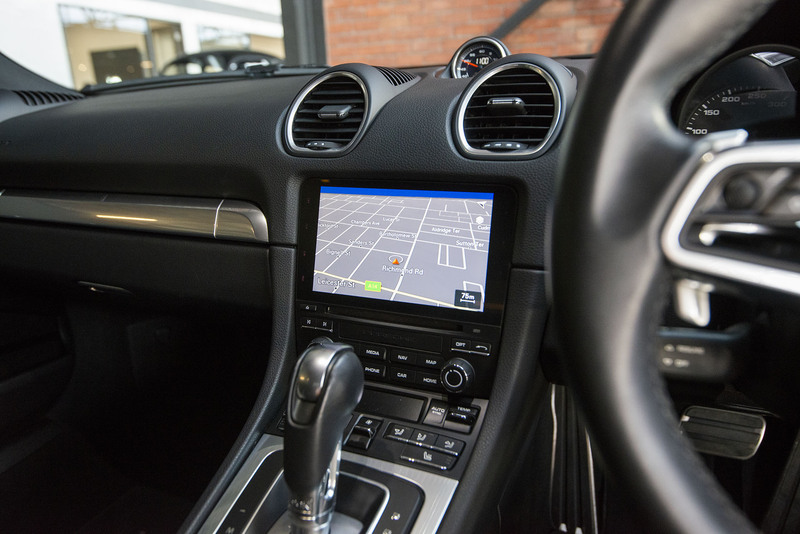 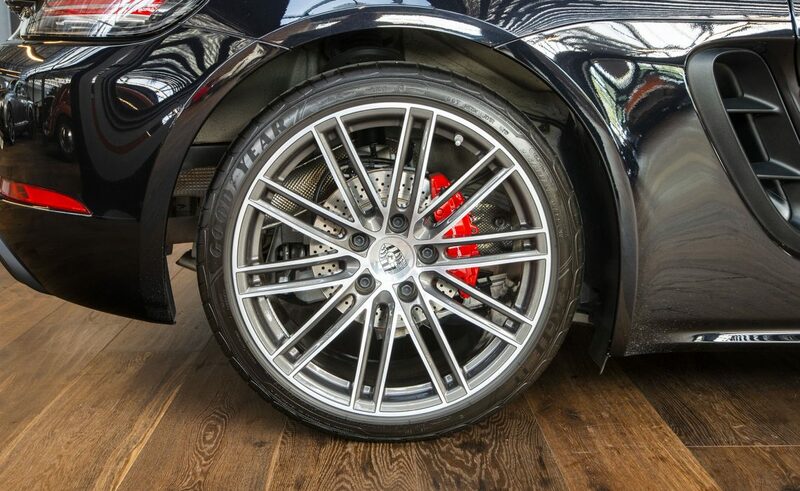 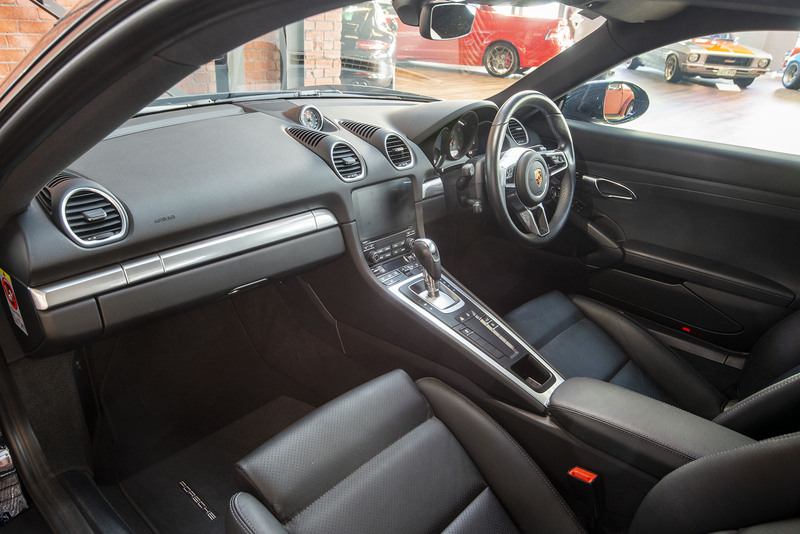 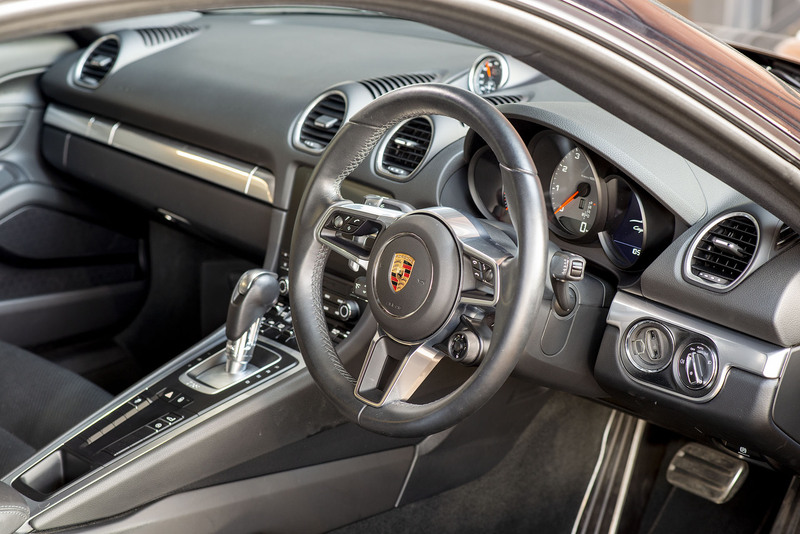 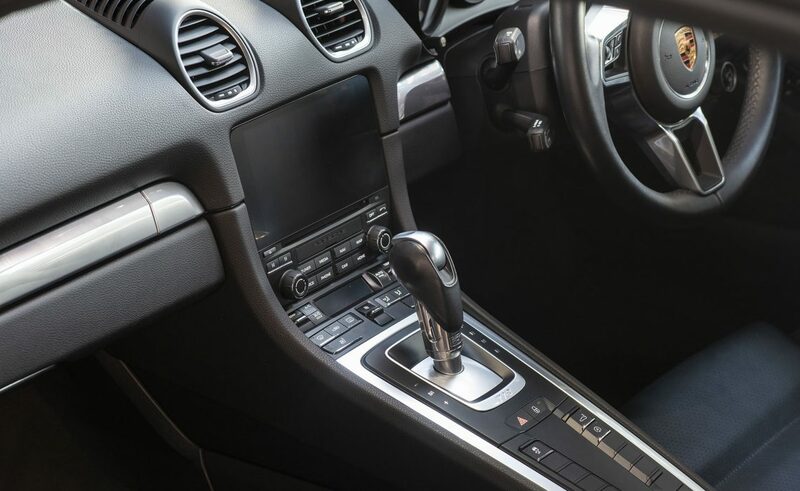 Of course these details tell just part of the Cayman S story - the mid-engine layout offers the best balance for great handling and the low-slung horizontally-opposed engine provides a low centre of gravity and maximum natural traction to the rear wheels. 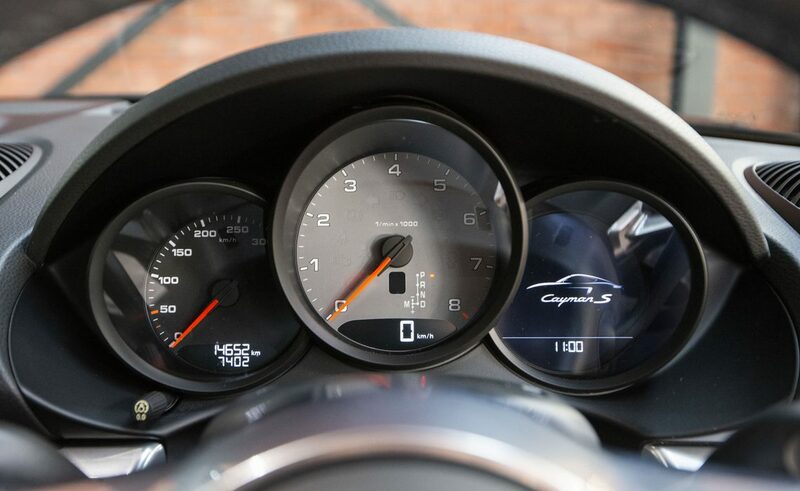 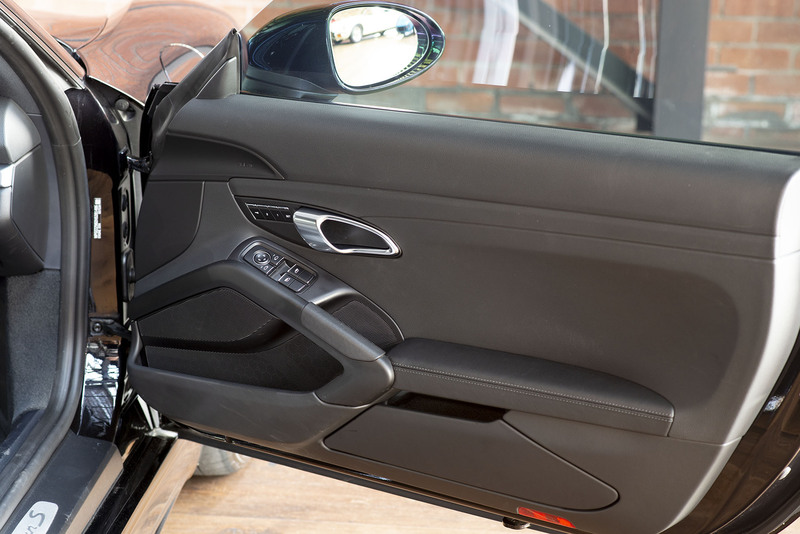 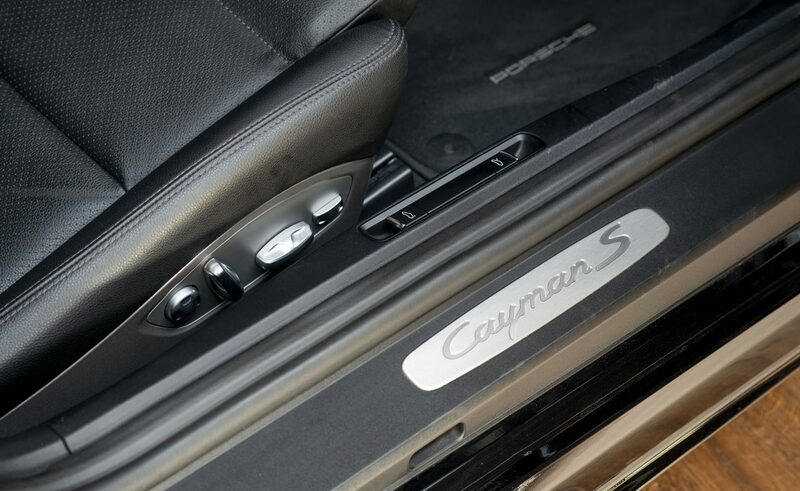 These design features enable the 718 Cayman S to make a mockery of winding roads where lesser cars are left well behind. 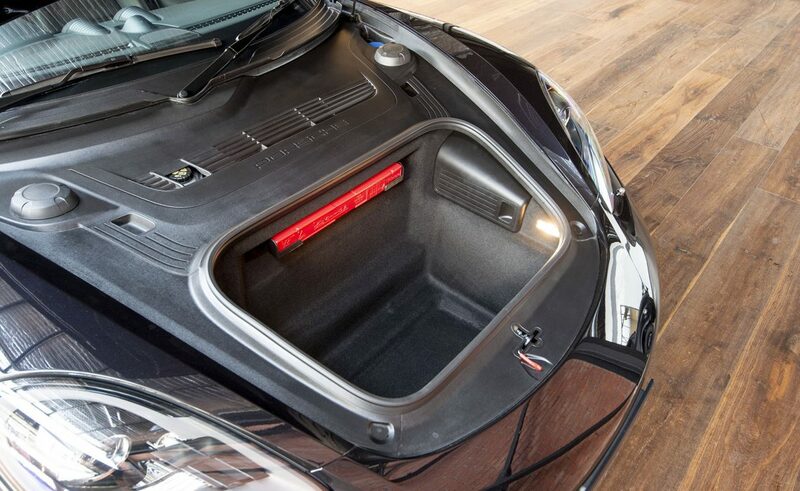 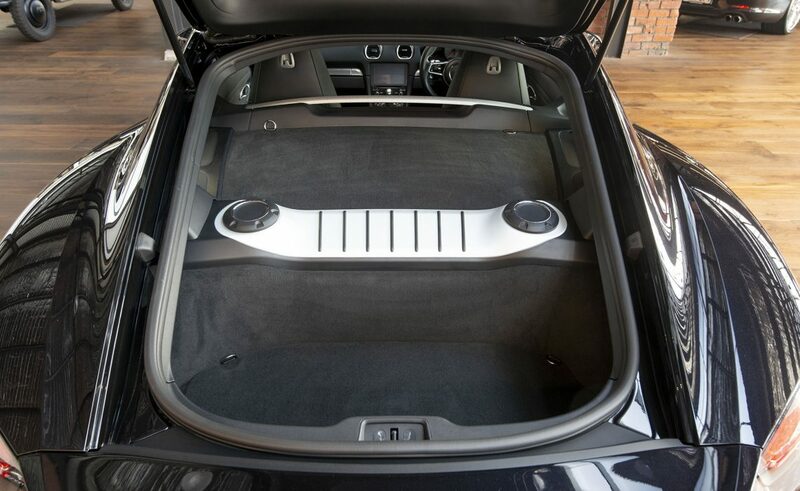 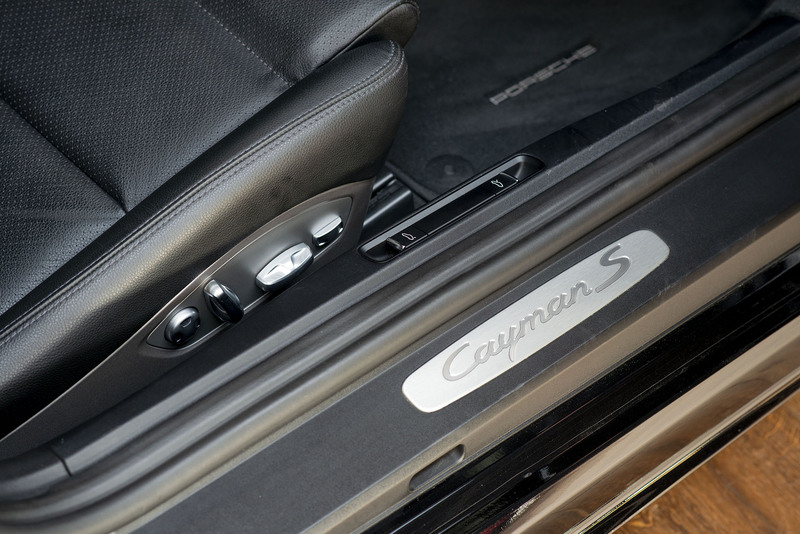 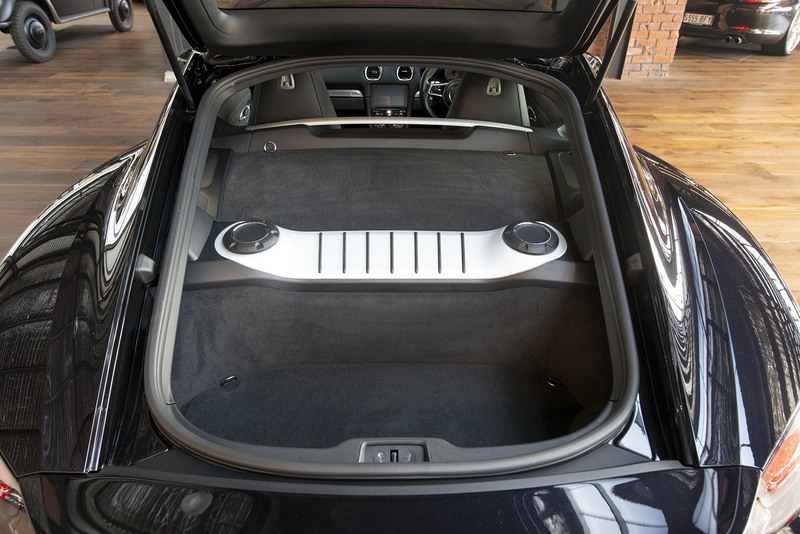 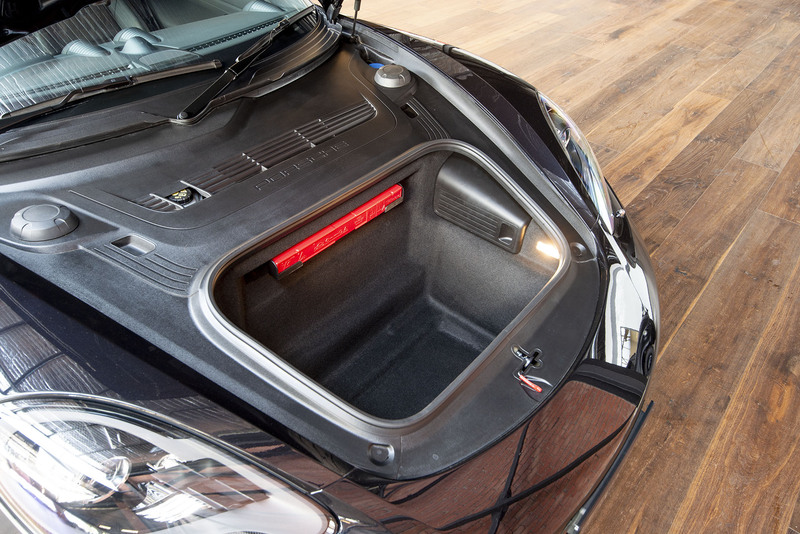 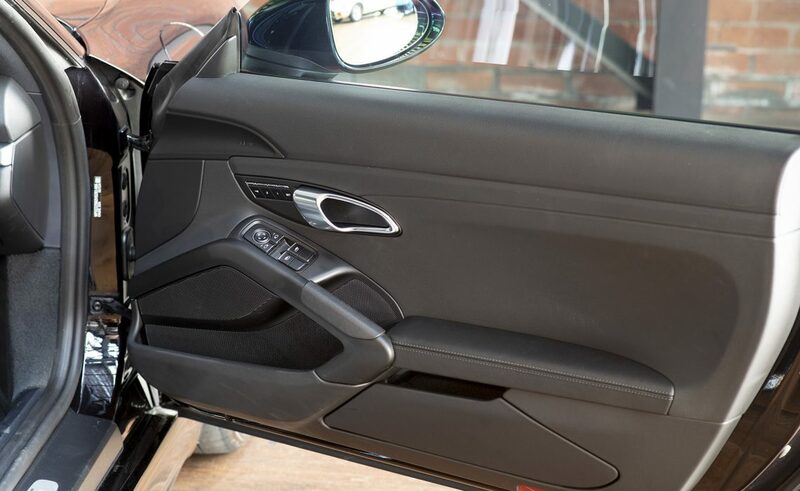 The Cayman S is also happy with everyday commuter motoring and offers plenty of luggage capacity in the front boot (deep for suitcases) and under the rear hatch area. 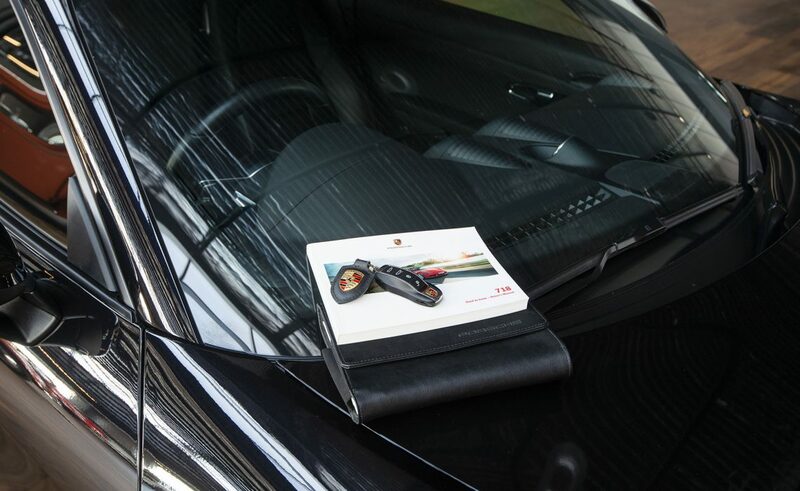 Still under new car warranty until November 2020 and then renewable at your Porsche Centre annually / bi-annually until the car is 15 years old. 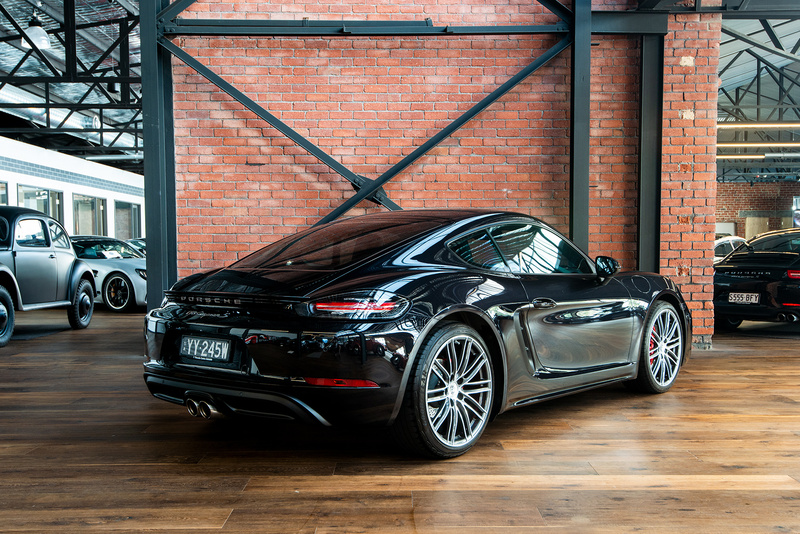 Now on display in our highly acclaimed sixty car showroom.